Alfred Alder, I imagine, was a caring and loving man who had an interest in psychology. I further assume he wanted to make an impact on the world, precisely by how we are to think about and help people. His impact on the world of psychology has not decreased but has grown since his death in 1937. Thousands of people have embraced his teachings while influencing our culture with them. A child’s behavior is goal oriented. A child’s primary goal is to belong and feel significant. Children have social interest or responsibility, and a desire to contribute. A child is equal in value to adults. These principles have appeal to the Christian community because God’s truth is in them. Whether Adler derived them from God’s Word or through common grace, I do not know (Matthew 5:45). Regardless of how they came to him, what he taught, in principle form, does ring true. But this is where we must be careful. Just because a person can mirror or imitate God’s truth in some fashion, it does not mean everything he concludes is biblio-centric. 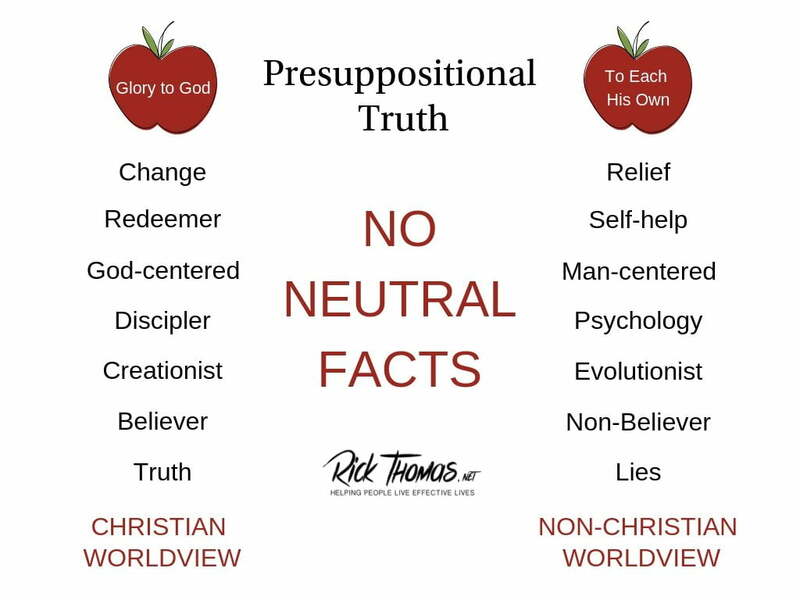 Meaning, you cannot support all future extrapolations of a principle from God’s truth. No matter how right something may sound, we must be cautious in how we use those ideas for soul care purposes. There is no question we can make a biblical case for all eight of the principles that Adler taught. Social Beings: We are social beings because God made us in the image of the first community—God the Father, Son, and Spirit. The thing formed cannot be wholly disconnected from its creator. Goal Oriented: God made us goal oriented. We are told to strive for the prize of Christ (Philippians 3:12). Christ endured great suffering because of the joy set before Him (Hebrews 12:2). Even the Israelites persevered because of their heavenly vision (Hebrews 11:13-16). Feel Significant: The Lord placed within us an approval drive (2 Timothy 2:15). To be accepted, loved, approved, and significant is one of the things that sets us apart from the rest of God’s creation. There is a sense of special-ness in all of us because we are (Genesis 9:6; James 3:9-10). Social Interest: Because of our image bearing, we want to do great things. We want to create. We want to help our fellow man. We want to do things that have lasting value. Again, this is in part what it means by God creating us in His image. Equal Value: Tied also to image bearing is the value of the person regardless of the age of the person. This issue is our argument in the abortion discussion. The unborn child is just as valuable as a born child or an adult. Life Lessons: Joseph taught us that the evil that came into his life was an opportunity to understand and respond to God’s sovereign design for him, his family, and his nation (Genesis 50:20). Paul taught a similar concept in 2 Corinthians 1:8-9 where he learned God-reliance through his suffering. Remember Love: God is love (1 John 4:8). We are called to love Him and others more than anything else (Matthew 22:36-40). As you can see, what Adler taught is rooted in God’s Word whether or not he knew, acknowledged, and derived those things from God’s Word. The thing that confounds me is why would a Christian study Adlerian psychology when he can find the good in Adler’s teaching in God’s Word. Since the truths Adler taught were written two thousand years before Adler was born, why not go to the source of sound teaching rather than a diluted version of the learning? Do you go to a marginally accurate person to find help for your child (or someone else) when your friend (God) is 100% trustworthy and competent to help you? Adler’s version is diluted and unable to provide what you need for long-term and sustainable change. Just because some of what he says makes sense does not mean all that he says is true to God’s Word. This subtlety is one of my biggest frustrations with the Christian community. We seem hell-bent on finding sources outside the Bible to help us with life’s most perplexing problems when the Bible presents all the solutions we need for those issues (2 Peter 1:3). Adler’s psychology has a presupposition that ultimately alters the purest form of psychology known to man: God’s Word. Psychology means psyche “logos,” or the study of the soul. God created the Word (2 Timothy 3:16) and the soul (Genesis 2:7). Thus we have the book for the soul, which is our Bible. I’m looking for answers to life’s questions. I don’t know how to find them in the Bible. I don’t know if Adler has anything either. Once you step away from God’s Word, it’s inevitable that you will have weakened your ability to filter what you’re experiencing through God’s Word. Our best call to action is to stay in God’s Word as the (1) primary source for truth and the (2) only filter through which all other good sounding ideas come. We should receive practical training in theology and how to understand life as interpreted by the Bible. If you or I do not know how to do this, we will stray from the truth of God’s Word, which will separate us from the only satisfying solutions that can help us. Without a God-centered presupposition to anchor all your thoughts, regardless of how good those ideas may sound on the surface, they will take you to places that will eventually reject God and His Word. Your presupposition is your starting point; it is the filter through which you see and understand life. Illustration: Your presupposition is like a window that stands between you and everything else in your life, including your thoughts, hopes, dreams, desires, expectations, and all the external things in your world. Adler did not have a God-centered presupposition, which was his first and ultimately most profound misstep. For example, if you take point #2 above–a child’s behavior is goal oriented–and remove a God-centered presupposition from it, what you have is a child’s subjective opinion as to what his goal should be and why he should be pursuing it. Meaning, if a child is self-centered rather than God-centered, his goals will be selfish–what he can achieve and how he can win. Considering others more significant than himself will not be part of his interpretive grid. What Paul taught about not doing things through rivalry and conceit will be a foreign concept for the Adlerian nurtured and trained child. The Adlerian model is a “to each his own” mantra for doing life. Your starting point will determine your ending point. Though Adler begins within proximity to the Bible, he soon drifts from the sound principles he coined. His third point about a child’s primary goal is to belong and feel significant is the cornerstone of the self-esteem movement, which has crippled the post-modern mind. If a child is not God-centered in his orientation, his pursuit of significance will always lead him toward unhealthy competitiveness that motivates him to be higher than those around him. Cravings to be significant breeds competitiveness not a community in the world of the self-esteemer. You cannot esteem someone else as being more significant than you are if you believe that your psychological health is dependent on admiring yourself more. One will negate or defeat the other. You will either count others as more significant than you are or you will count yourself as more significant than they are. You cannot have it both ways. The Christian worldview is to think less about ourselves while considering how to care more about others. This perspective does not mean we do not care about ourselves. We are amazingly important; God made us in His image (Genesis 1:27). Our problem has never been thinking too little of ourselves. Self-absorption is one of our greatest temptations. There is a difference between worth and esteem. We are invaluable because we were made by God and in His image. We are of inestimable worth, which should release us from being stuck on ourselves (always trying to esteem ourselves). Illustration: That’s like the filthy rich person always trying to become richer while ignoring the poor. As far as intrinsic value is concerned, we are filthy rich. Adlerian psychology cannot accommodate this kind of teaching. Adler taught that the misbehaving child is a discouraged child. His twist on this truth is painfully problematic. The Adlerian child is trying to esteem himself more while seeking to achieve goals so he won’t be discouraged. This process has never worked for anyone, as the most successful and influential people in our culture have proven over and over again by their efforts to be more, make more, and have more, which always ends for them in dissatisfying ways (Mark 8:36). The real reason the child is discouraged is that he is dead in his sins. See Ephesians 2:1-2. It would be tragic to center his problems on discouragement over his misbehaviors while trying to pump his esteem on the inside and re-strategizing his goals on the outside. There is only one goal that will save him from his discouragement, and that is to make a B-line to Christ, looking for redemption. The Adlerian child will always be discouraged by what he does. And if he continues as an Adlerian adherent, he’ll crave more, desire more, while setting new and improved goals. All of those actions are devoid of his Christ-centered needs. Ultimately, Adlerian teaching will grind his soul to inescapable discouragement, while heaping more depressive thoughts on himself. The solution is not to begin with Adlerian psychology, but to start with God-centered theology. If you start with Adler, you will end in death (Proverbs 14:12). If you begin with God, you will not be deceived by secularized psychology, plus you’ll be set up for an abundant life (John 4:14). Does Adlerian psychology appeal to you? If so, why so? Is the Bible hard for you to practicalize in transformative ways? If so, why so? What is your most treasured psychology book? Are you interested in learning how to bring the Bible practically alive in your life? If so, consider our training program. No other psychology book comes close to the Bible. We aim to help others learn how to make it their primary soul care reference manual.